Based out of Germany, Hugo Boss is a lifestyle and clothing company that focuses on many products under the two core brands of Boss and Hugo. Fragrances are offered under both of the core brands, and we will take a look at some of the best Hugo Boss colognes for men under each. Boss Bottled also known as Boss No. 6 is a perfect everyday fragrance. It is a versatile scent that is appropriate for all age ranges. It is a mainstream fragrance that is non-offensive to most, and works in most settings which is why it is such a big seller. It begins with fresh fruity top notes of citrus and apple, followed by soft notes of geranium then clove, with base notes of sandalwood and vetiver. If you are new to colognes and fragrances, this is a great choice because of its versatility and smooth, inoffensive scent. While, you likely won’t turn heads or impress perfume aficionados, you will smell nice in almost any setting. Hugo was released in 1995, and it comes in a distinctive bottle shaped like a water flask. The opening notes of apple, mint, and rum make this a great warm weather fragrance. The herbal middle contains notes of lavender, sage, geranium, and spice. This is anchored by scents of woods, vetiver, and leather. Hugo is pleasing and inoffensive, and it is good for any season, but probably best for the spring and summer warmer months. If you are looking for a fresh, green, and clean scent, you should give Hugo a try. 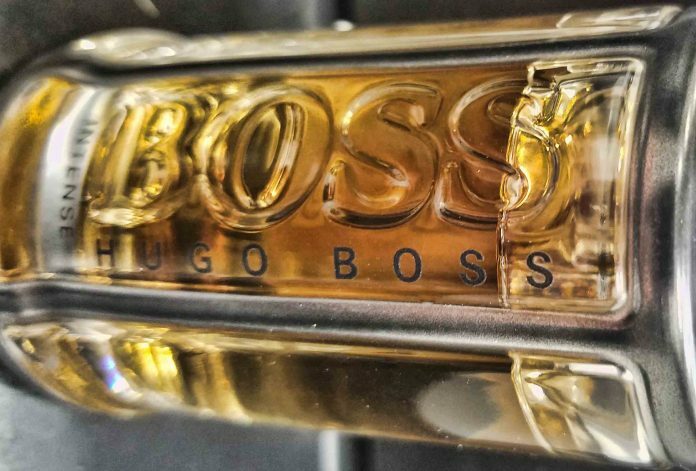 Boss Bottled Intense, a refined interpretation of the original from 1998, is an intense, warm, and woody scent that is great for fall and winter. It’s opening of apples and spices is perfect for that type of cooler weather. Top notes are apple and orange blossom, followed by notes of clove and cinnamon. Those notes are anchored by sandalwood, cedar, vetiver, and vanilla. Because of those note, some even refer to this as a gourmand fragrance. Compared to the regular Boss Bottled, it is a bit heavier, darker, and spicier. The Eau De Parfum is only slightly more than the Eau De Toilette, and brings out the best notes a little more, so it is worth the few extra dollars. This is a great mainstream fragrance, and is a solid choice for those exploring fragrances. 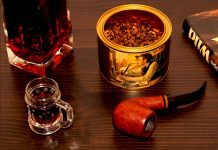 It is a very pleasing scent, and not risky. Boss Bottled Night by Hugo Boss was released in 2010 with the idea of seduction and masculinity that is appropriate for evening wear. The scent opens with lavender and birch, followed by notes of violet, woods, and musk. Featuring advertising by celebrities like Ryan Reynolds (the badass from Deadpool) and Chris Hemsworth (the badass from Thor,) you can sort of get the idea of the picture they are trying to paint. Take a look for yourself at the commercial featuring Ryan Reynolds. While it is great for a date scent, it is still suitable for the office. Hugo Energise is a woody aromatic that is very vibrant and fresh. 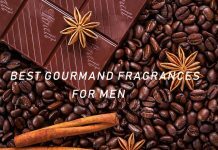 With notes of mandarin, mint, nutmeg, leather, and vanilla, this fragrance is suitable for men of all age ranges, and it is good for everyday use. It is more appropriate for casual wear, and if you like citrus and spicy colognes, you may like this one. If you are looking for a citrus, spicy, sporty, and fresh cologne that you can wear everyday, and you want to smell pleasant in casual settings or at work, this is a solid choice. Boss No. 1 was the first fragrance launched by Hugo Boss, and it was released in 1985. This is an aromatic cologne, and it is fresh, spicy, and earthy. It starts off with bright citrus notes, and then it dries down to warm notes of honey and tobacco. This is a very classy and sensual scent, and it works great as a scent to wear to the office. The thoughts of Wall Street and Success come into mind with this fragrance. If you are looking for an 80’s style scent that smells of success, you should give Boss No. 1 a try. Boss in Motion was launched in 2002, and it is a warm and woody cologne. It was designed for active men to wear during the daytime to smell clean. It has notes of orange, pepper, cinnamon, musk, and woods. If you are looking for a refreshing and sporty cologne, you should give Boss in Motion a try. Hugo Red is a oriental spicy fragrance for men. It has notes of grapefruit, galbanum, pineapple, cedar, tonka bean, and amber with a metallic scent throughout. Great for active men during the day, and it does seem to fit more with the younger crowd, but certainly not unusual for older gentlemen to wear it. This is a great fragrance for a safe cologne on a first date. Hugo Boss has around 90 fragrances for men, and they produce a handful of good mainstream colognes. They are usually some of the first purchases that men make when getting into colognes, and rightfully so. They have a lot of money behind the brand, appeal to a large audience, and they are widely available. In addition, their prices are reasonable. It is hard for people who are tight on money to drop $300 on a Niche Fragrance. If you have any thoughts on the brand, please comment below.